Replacement demand in China for Apple’s upcoming iPhone XR handset will be higher than last year’s iPhone 8 demand. 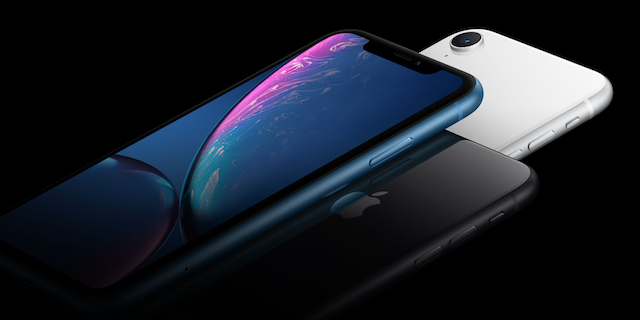 That’s according to a new investor note from famed Apple analyst Ming-Chi Kuo of TF Securities (via MacRumors), who predicts that the iPhone XR will enjoy a strong start in China later this month as a result of the lack of innovation from local brands and weakening demand for their devices. Kuo also predicts the iPhone XR replacement demand in China to be higher than iPhone 8’s last year. He also thinks that over its lifetime, the iPhone XR will sell more than the iPhone 8 and iPhone 8 Plus. He says that declining demand for handsets from local companies, due to a lack of innovation and falling consumer faith as a result of a potential trade war, will be the main factors behind this. This year’s iPhone lineup in China is also the first two support two SIM cards simultaneously — a feature that has proven popular in China and other emerging markets. It allows customers to juggle two numbers with one device. In the rest of the world, Apple combines a traditional SIM card with its embedded Apple SIM technology to enable this, but in China, however, where eSIMs lack support from local carriers, iPhone fans will get two traditional SIM card slots instead. Kuo did not mention anything about how sales of the iPhone XS and iPhone XS Max have been in China. Earlier reports have claimed that sales for the iPhone XS series have been disappointing in China, with Tim Cook using his ongoing visit in the country to promote the device.